North Korean leader Kim Jong-un seems to have a new Rolls-Royce as his official ride, CNN reported on Tuesday. 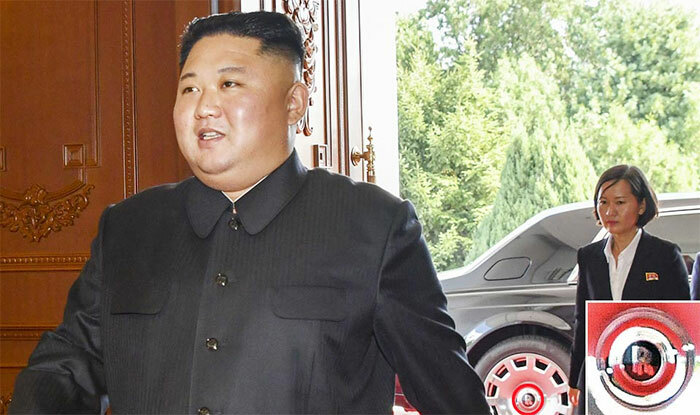 Kim arrived in a black limousine sporting the luxury carmaker's distinctive "R" on the whole hubs for a meeting with U.S. Secretary of State Mike Pompeo in Pyongyang on Sunday. The limousine seems to be a bulletproof Rolls-Royce Phantom, according to online automotive magazine the Drive. A US$500,000 Rolls-Royce Phantom can be transformed into a rolling fortress with another $200,000 investment. A bulletproof Phantom can fend off 7.62 mm bullets. Until recently, Kim used mainly a Mercedes-Benz for official events. "It's unclear how Kim would have procured either vehicle, as their purchases are almost certainly violations of United Nations sanctions against North Korea, which prohibit the sale of luxury goods and automobiles to the North Korean government," CNN said. "The fact that Kim drove such a luxurious car to meet with Pompeo could be construed as a bit of a slap in the face to the top U.S. diplomat, as the Trump administration has insisted that the international community must strictly enforce the UN sanctions levied against North Korea until Pyongyang denuclearizes."